Design Awards is Australia’s leading maker of bespoke medals and custom medallions, having over 20 years’ experience designing and hand-crafting custom made awards right here in Australia. Medallions are a classic recognition option with endless design possibilities: material, shape, ribbon, size, weight, finish, feel. 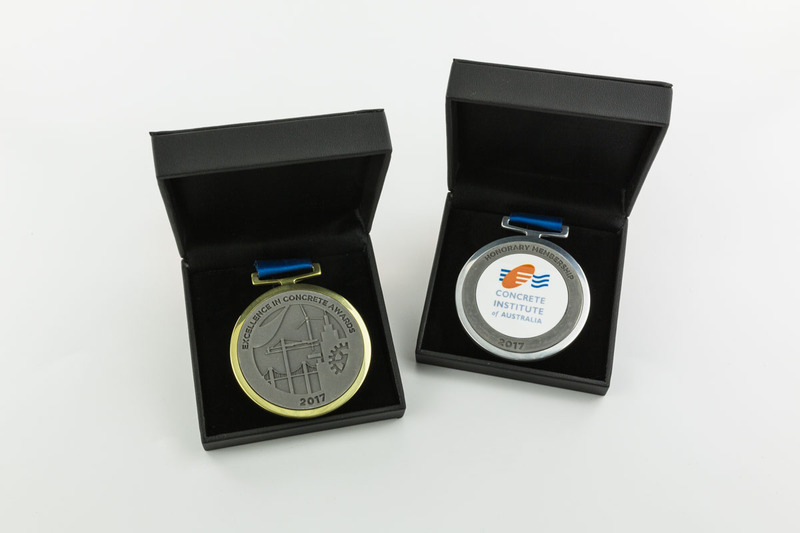 As both our Melbourne and Sydney workshops are fully equipped, we can customise your medal to meet your design or idea precisely, online or in-person. Medals are one of the most popular forms of awards when it comes to events where there may be a large number of recipients. At Design Awards, we have been creating and customising medals and other awards since 1994, and after 20 years in the industry, we are a step ahead of the rest when it comes to incredible medal designs. We are made up of a small talented team of highly skilled artisanal designers and makers that go the extra yard to create custom medal designs that exceed client expectations. Our flagship workshops are located in Sydney and Melbourne, and it’s here that our designers put together the locally sourced materials into their final masterpiece. We are committed to creating individualised awards and that’s why we never mass produce our products – we guarantee bespoke, unique awards that you recipients will be proud to receive. So, you know that you want to make the awards at your event special, and that’s why you’ve decided to have custom medal designs for the occasion. The problem is that you aren’t entirely sure what you should put on the medal, or even what can be placed on it. • The accomplishment: Whether you are giving out medals to a winning rugby team or for participation in a charity event, you should always ensure that the accomplishment is visible on the medal. This shows recipients and admirers what it is that they accomplished and what they are being rewarded for. • Sweet and simple: Medals are much smaller than trophies and therefore it makes sense that you can’t get long messages on them. This doesn’t mean, however, that you can’t put anything on them at all. 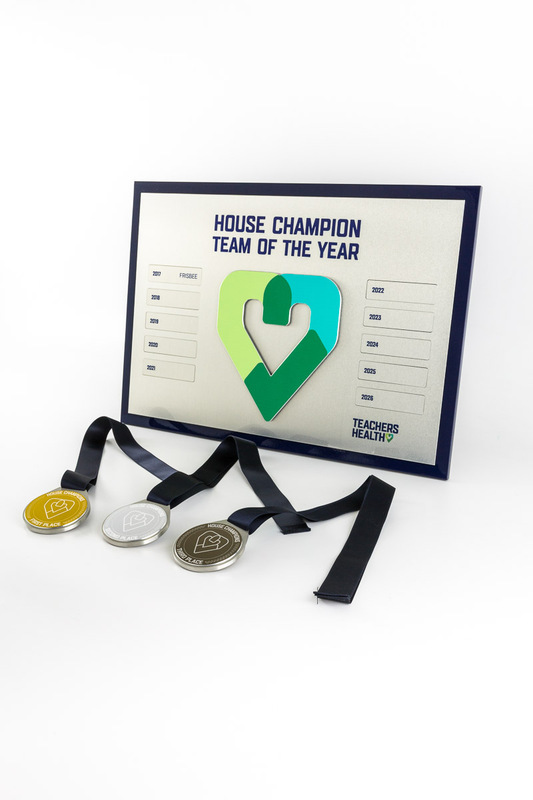 If you’re having a corporate event, then your company’s promise or brand message can be added or for a sports team, you could always have their motivational quote or team slogan on the medal. • Details: Remember to include the details of the event at which the medal is being received. This should include the date, the name of the event, the accomplishment and your company name or logo. • Personalisation: Always remember that a personalised message is more sincere than a generic one. If you are handing out medals to more than one person, for example, a rugby team, then remember to include their team name and any other personal details that are applicable. If only one person is receiving the medal, it’s easy enough to personalise it with their name and accomplishment, and this will be highly appreciated. When you order awards from us, you know that you are receiving locally bought materials that are of the highest quality. Our website is user-friendly and secure – your personal and payment details are incredibly safe and the process of purchasing our products is as simple as can be. Feel free to give us a call or email, fill out an online contact form or even visit one of our stores. We’ll happily talk to you about our products and see how our designers can help you bring your vision to life. We can customise the surface of your medallions to incorporate 3D reliefs based on an image of your choice. You can choose to customise one side of the medallion, or both sides, depending on your needs and budget. We can also customise the shape to portray a desired image. Design Awards has been crafting trophies and medallions for more than 20 years. We don’t mass produce our medals and awards, instead we create each piece by hand, guaranteeing a unique, and truly special, final product for you to present to your recipients. Want to know more? Get in touch with Design Awards today. Fill in our contact form to request a quote and we will get back to you as soon as we can. You can also pick up the phone and call us in Sydney on (02) 9439 7144, or in Melbourne on (03) 9555 0350.